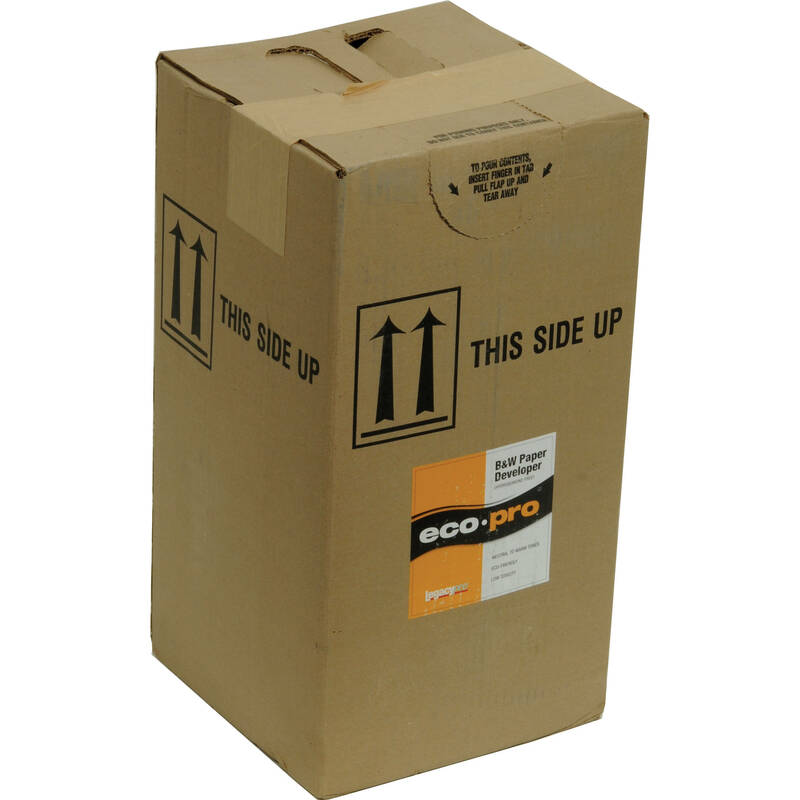 This 5 gallon bottle of Eco Pro Black and White Paper Developer is a liquid developer designed to meet the needs of photographers who enjoy toning prints. The developer produces rich black tones and bright, neutral whites. It works especially well with warm toned paper but will deliver great tonality with both cold and neutral toned paper. Box Dimensions (LxWxH) 18.5 x 10.0 x 10.0"